Ok, so to kick things off the email that was sent to us was unsolicited. It was sent by Ryan Gerding, a spokesperson for Enigma. In it he provides a link to a statement from Enigma which is a response to the press over the BC incident. Now the link contains some pretty normal language when a company finds themselves in a bad spot with the press. One line is interesting though: “The complaint also alleges that Bleeping Computer has knowingly made false statements about ESG and its software products” This is pretty serious when you think about it, so we decided to take a look at the actual complaint and see if it holds any water. After going through a lot of the normal legalize we finally found what we were looking for. The biggest issue with the suit is that BC is not making these claims, they are taking the information from other consumer protection sites and reposting it on their forum. The links are all live and verifiable. Still let’s look at them shall we? We started off at the first one, Deceptive Advertising. To put it simply we can see where someone might claim this. They have two separate “certifications” that they use to bolster sales. 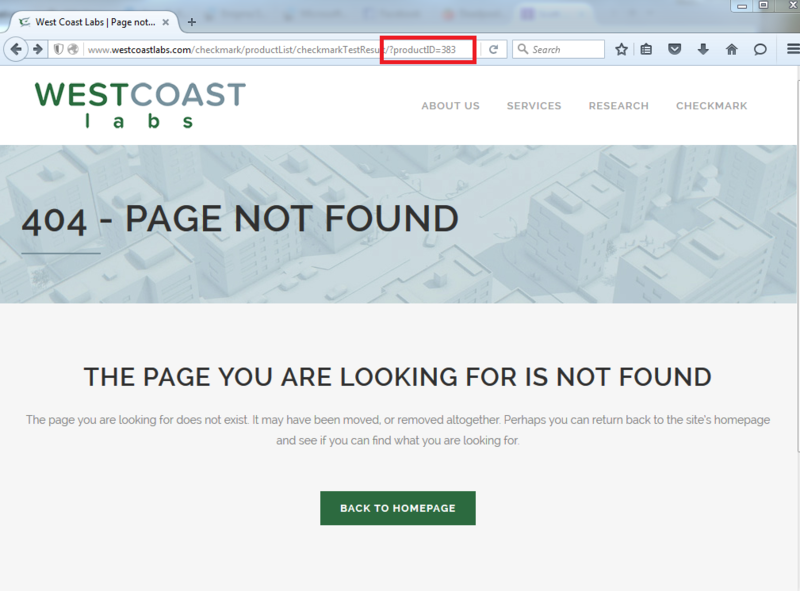 One is West Coast Labs; “a highly regarded independent security and product testing service.”. We clicked on the link for the certification and hit a page not found error. We then decided to contact the company directly and were sent to a voicemail that just said “you have reached Scott”. We left a message asking about the Enigma claims and left our number for contact. From there we actually went to the Checkmark site and found no reference to Enigma Software OR SpyHunter 4.x. 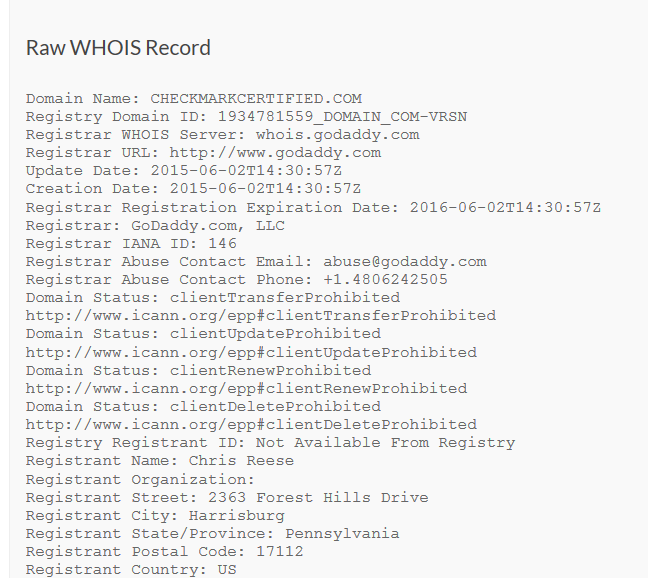 We dug a little deeper and found that the domain is registered to someone by the name of Chris Reese. 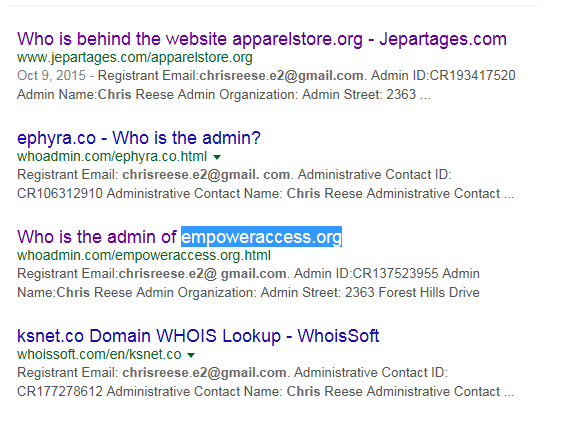 Chris owns a lot of other domains it seems. Including empoweraccess (dot org) apparelstore (dot org) etc. This is not terribly odd as Chris might be a web developer that is in the employ of West Coast Labs. It is interesting that Checkmark certified was only created in June of 2015. 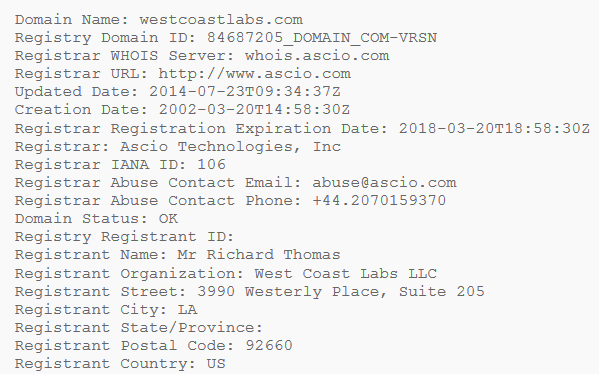 While West Coast Labs was created in March of 2002. The post about SpyHunter is from 2014 for reference. The second certification point to OPSWAT. This is a company that provides software management solutions. To get a certification from them you have to show compatibility with their products. SpyHunter has a bronze award: “OPSWAT Bronze Certified products are able to be detected by leading technology solutions, and their vendors have a technology partnership with OPSWAT.” There is nothing there that shows effectiveness or reliability. Now we have two claims that are sort of misleading and a little decptive. One is not verifiable, but is being used to bolster sales and the other is about compatibility with someone else’s product. The second claim false under the first one really and is no worth going into at this time. The claim that BC stated they are a rouge product. No such claim was made the post actually states. “was previously listed as a rogue product on the Rogue/Suspect Anti-Spyware Products List” They then go on to explain why spywareworrior.com had them listed. So it was never BC that made the claim, they were simply providing information that is available to others in a single place based on a user submitted question. The claim that Enigma Software has not submitted to AV-Test is not a false one at all. It is true that Enigma has not submitted their software for testing to AV-Test. The quote used with that claim is not in the threat anywhere that we can find in reference to the submission statement. It is erroneous a best and potentially false testimony at worst. The next one is also very misleading. They claim that BC stated that users were not aware that purchasing this software would get them into an auto-renewal subscription. Enigma is almost correct there, but they missed the phrase “some users: and the whole part of the thread that stated: “This information is in fine print at the bottom of the SpyHunter Purchase Agreement.” With a link to the agreement and a screen shot of the wording. That is certainly giving all of the available information. They also go on to explain how to contact the company for support or if anyone feels like they were deceived. In the same thread they go on to mention that IOBit is not a good choice as well. Enigma follows on with claims that the information used was proven false and all the result of an anti-competitive campaign against them. They also claim that the information used is between 7-10 years old, but the Web Of Trust (WOT) references are as recent as June 2015. The whole complaint is thin in terms of its legal merits, but as Enigma has the money to throw around they can get away with this (as they have in the past). BleepingComputer openly states that they do receive commissions from the sale of products. They are not hiding this fact from users and offer an opt-out option for people that do not want to use that. 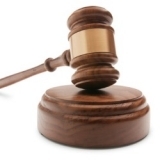 Enigma would like the courts to believe that all of these claims are false and made with malicious intent. This is not the case if you look at the post and understand the information as given. It is certainly not the most glowing review one could hope for, but it is based on information that is already out there. If the information was already proven false then it would have been removed from the internet by now, but it is still up and available so we wonder about their claims that it was proven false through legal action. Enigma wants $75,000, the information removed, and to prevent BleepingComputer from posting any other negative information about Enigma or their products. It is more than a little excessive. It will be interesting watch this one play out over the next few weeks. We will be sure to keep you up-to-date on anything new we hear or find out about this one. Enigma’s PR Company has already reached out to us. It could be that the next contact we get will be from their legal team. The fact that nothing in this article is not false might not make a difference to them. Great article, thank you for that. I can assure you we never suggest a member buy software to fix their computer. 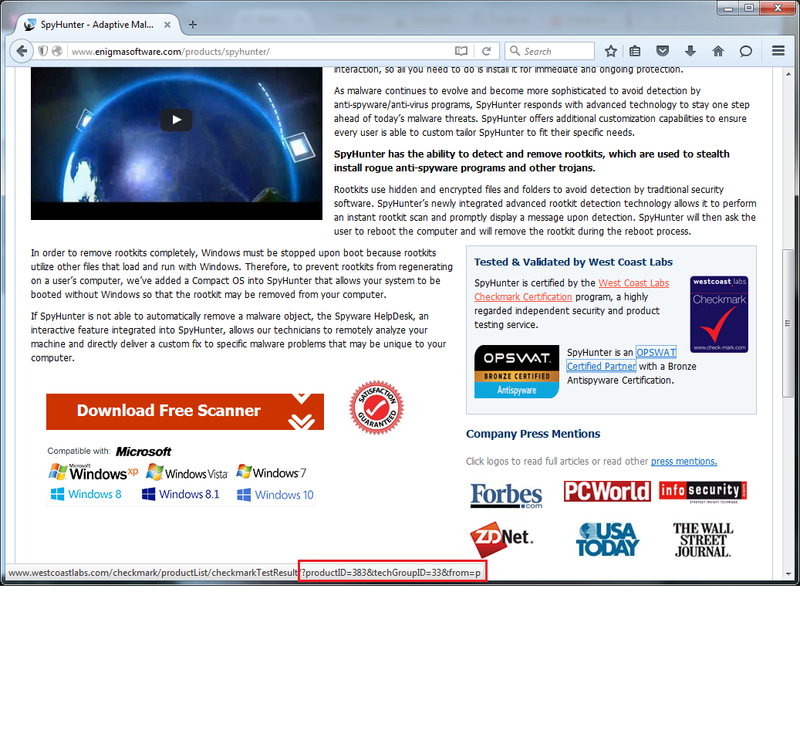 In fact the site owner and myself have both contributed free software to the malware fight.